Business plans and marketing plans present a unique challenge because they contain both qualitative and quantitative data that mingle in the same document. Unlike a spreadsheet, where different cells can be set up to affect each other, a business plan's text summaries of numerical data often have to be updated by hand whenever figures are changed. It can be quite a time-consuming process, and small business owners often do not have the time nor the financial resources to devote to this task. This is why Enloop exists. Enloop offers, to use the silly "aaS" nomenclature, Business Plans-as-a-Service. It has different subscription tiers ranging from free to $39.99 per month which give its users access to its exclusive business plan creation technologies. Enloop's AutoWrite feature lets users enter blocks of important financial data, and it then generates text summaries for the business plan. This includes product and sales data, marketing data, management bios, personnel and payroll data, financial information, and so forth. Based on user-provided data, Enloop can also generate sales, profit and loss forecast data, cashflow forecasts, and balance sheet forecasts on the fly. 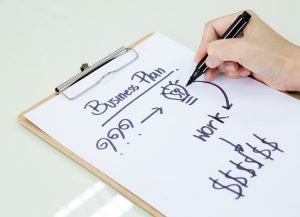 It's pseudo-automation of the business plan composition process, and could be useful for small businesses that do not have the cash to enlist the help of a professional business plan consultant and writing team. As is often the case with cloud services such as these, the free tier offers limited functionality, but provides an introductory look at the service and might be helpful in a pinch.